Apart from putting them on the Christmas tree there are so many other ways to use them. You can add them to your Christmas decor as bed canopies or ambient lighting. One of the best thing about the following projects is that you can keep them whole year long, most of them at least. 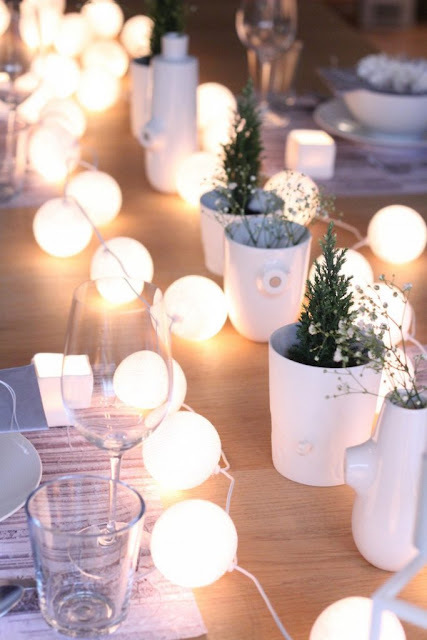 We have rounded up ten gorgeous ideas and DIY projects to add a touch of whimsy to your space with Christmas lights. Illuminated large heavy mason jars make a unique Christmas decoration. 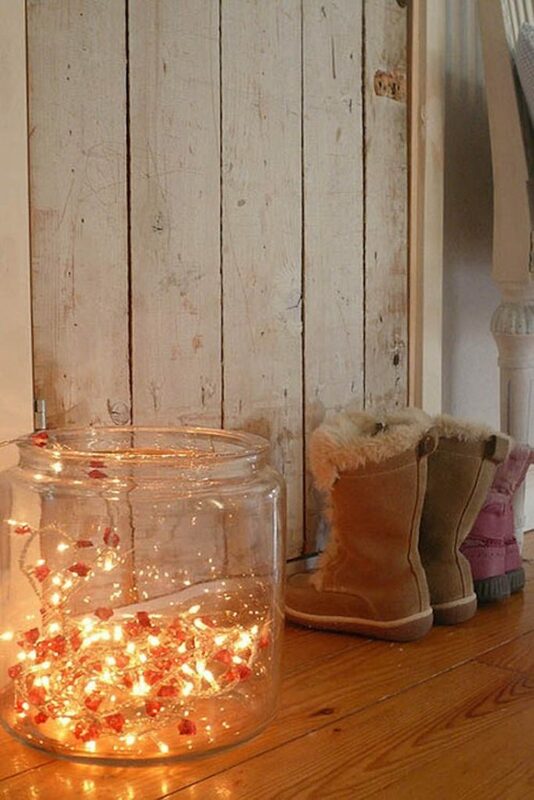 It’s simple to make and after the holidays you can use the jars in your kitchen or you can create a new decoration. You will need some pieces of burlap and washi tape to tape the top of the light string to the lid. 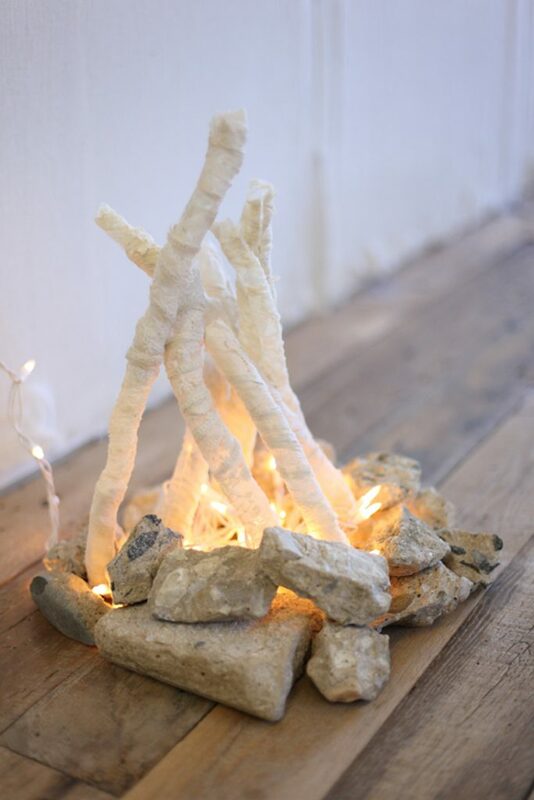 One of our favorite idea is this DIY Flameless Fire Pit. You can make your home super cozy even if you don’t have a fireplace, you just have to make this fun project. 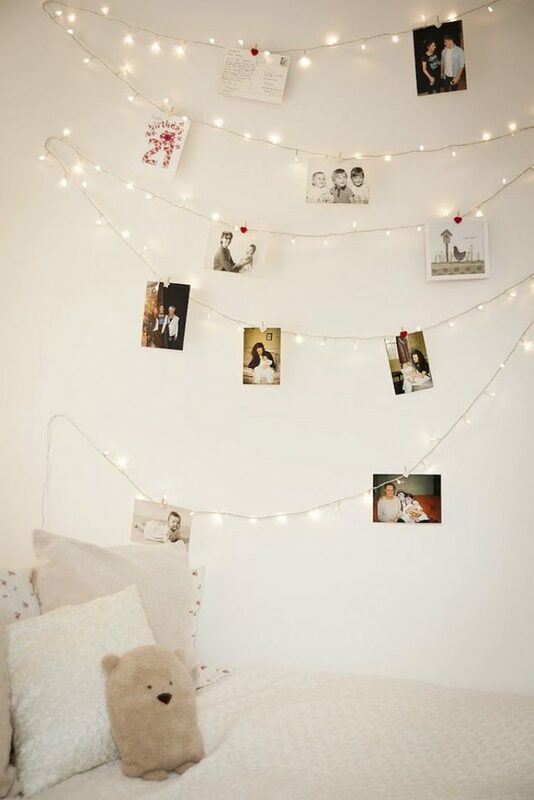 Instead of real fire, the string lights will give off that cozy feeling. Click on the link to see the step-by-step tutorial. String light looks great spread on a perfectly set table as well. You can welcome dinner guests with a little ambiance. 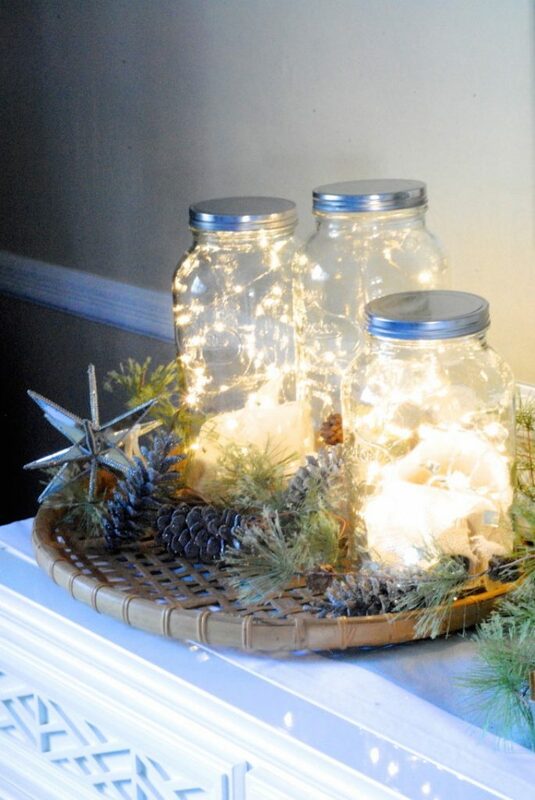 With a large glass bowl or mason jar and string lights you can create a beautiful ambient light. It will look nice placed on the floor or on a console. You don’t need any DIY skills, just look around the house if you can find an empty glass vase. Quick and super simple idea!